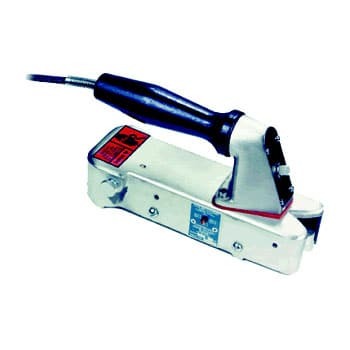 This heat sealer is ideal for sealing small bags and pouches, or packaging large irregularly shaped items. Seals all barrier materials from4 MIL LLDPE through 11 MIL super heavy duty structures. Standard- 110 Volts 400 Watts, and 220 Volts Now Available. Flat seal proven to be superior to a grooved seal.